Umbrella bags are designed to hold wet umbrellas on rainy days. Each bag fits virtually all sizes of umbrellas. Using bags keeps floors dry and helps prevent slip-and-fall accidents, reducing liability lawsuits. 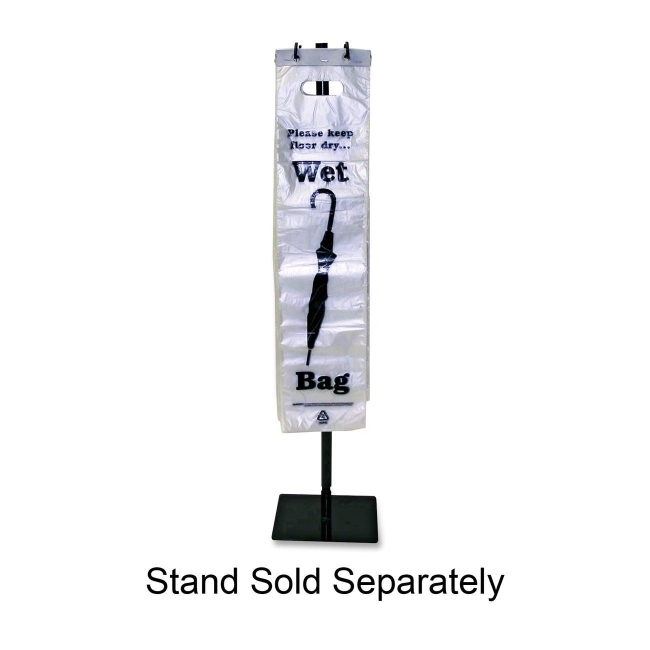 Hang bags on Tatco Umbrella Bag Stand for easy access in entrance and reception areas. Bag design features a die-cut handle and the message "Please keep floor dry ..." printed at top. 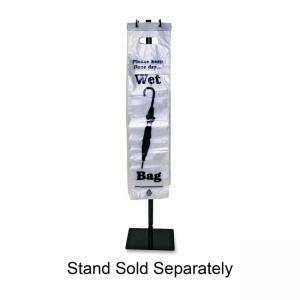 The bag also displays the words, "Wet Bag," with the image of an umbrella in between them to show the intended use. Recyclable bags are packed for easy display and are ready to hang on the stand.